Need a lower flow rate? 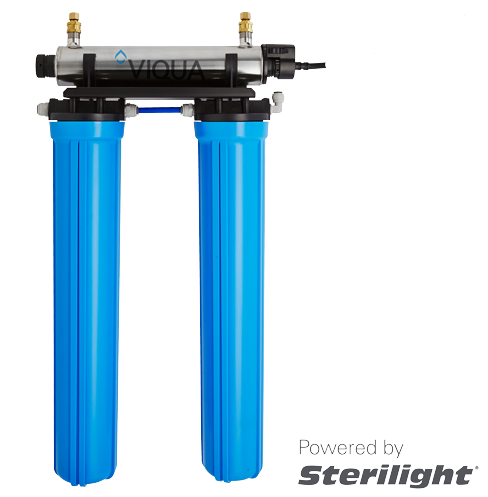 The Viqua VT4-DWS is a complete under sink drinking water filter system featuring 2-stage pre-treatment and a 2.5 gallon per minute ultraviolet (UV) water sterilizer. The VT4-DWS is very similar to the VT4-DWS11 except that it has high capacity 20 inch pre-filters for longer life and dirt holding capacity. 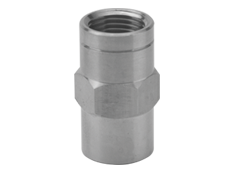 It is most commonly used to treat water at a single point-of-use such as a kitchen sink, water fountain, or other low flow rate faucet applications. This system can be used for the treatment of drinking water from private water supplies (including wells and surface water sources) and city water supplies. For wells and private surface water supplies, the VT4-DWS is typically used to remove sediment, improve the taste and odor of the water by removing organic impurities, and to disinfect the water to ensure it is free of pathogens such as bacteria (ex. e.coli and coliforms), viruses, and other microbiological contaminants including giardia (beaver fever) and cryptosporidium. For city water, the VT4-DWS is typically used to remove sediment, improve the taste and odor of the water by removing chlorine and organic impurities, and to disinfect the water to provide an extra measure of assurance against microbiological contaminants. While we as a nation are generally fortunate enough to have very good city water treatment infrastructure, recent city infrastructure failures across the country have raised concerns about the disinfection effectiveness of many city systems. The VT4-DWS is well suited for consumers looking for an economical water filter system that provide some extra "insurance" against a city infrastructure failure while at the same time removing chlorine to improve the taste of their water. The VT4-DWS includes a specialized activated carbon filter that is capable of reducing lead levels. Economical, easy to install, and long filter life! The VT4 UV sterilizer that is included in the VT4-DWS system provides a UV dose of no less than 40 mJ/cm2 for flow rates up to 2.5 gallons per minute (at the end of its stated lamp life based on a UVT level of 95%). 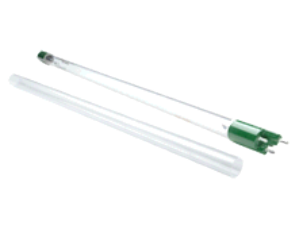 Although the Viqua VT4-DWS (part of Viqua's Tap Series) is designed to be economical, all Viqua Tap Series units feature a visual "lamp on" indicator light, a stainless steel reactor chamber, a fire-polished domed quartz sleeve, and Viqua's popular Sterilume™-EX coated low pressure germicidal UV lamp which can be easily changed without using tools. 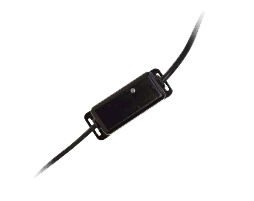 The VT4-DWS has 3/8" tube connections for easy installation. 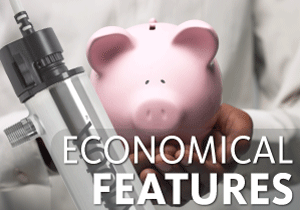 The Viqua VT4 can also be purchased as a standalone UV sterilizer without the integrated pre-filter package. This is ideal if you just want a UV add-on for an existing under-sink drinking water filter system or under sink reverse osmosis (RO) unit. Not sure which option is best for you? Give one of our UV experts a call toll free at 1-866-376-2690! We would be happy to help you. Not all UV systems are created equal; it is not just a UV lamp stuck in a tube. 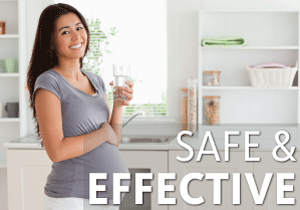 You rely on your UV sterilizer to protect the quality and safety of your drinking water and the health of your family. 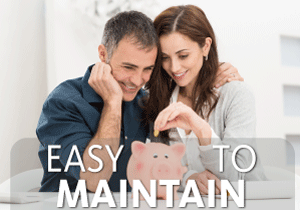 You deserve the best insurance that you can buy for your money. 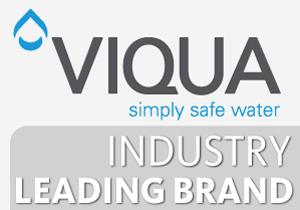 Viqua and its parent company Trojan Technologies are literally the world leaders in UV technology. Their systems are backed by decades of bio-assay validation, computer-aided flow dynamics testing, and millions of dollars in lamp and ballast/power supply research and product development. The result is a product that you can have confidence in to work when you need it. * For most residential applications, we recommend a UV dose of at least 40 mJ/cm2. 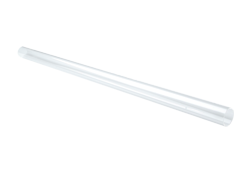 Flow rate capacities listed are based on the stated dosage, 95% UV transmittance (UVT), and end of lamp life. If your UV transmittance is between 75% and 95%, we generally recommend that you increase the size of your UV sterilizer. A good rule of thumb in such cases is to choose a UV sterilizer with about 50% more flow rate capacity than you need, however, if you would like assistance in selecting an appropriate model for your conditions, please feel free to call us toll free at 1-866-376-2690. The pre-filters included with the VT4-DWS satisfy the minimum pre-filtration requirements for the UV sterilizer and may help to improve UVT by removing sediments and organics. All UV sterilizers require sediment pre-filtration to reduce or eliminate the possibility that a targeted contaminant could "hide" behind a sediment particle in the "shadow" of the UV light and therefore not receive a full dose of UV light. Accordingly, the manufacturer strongly recommends sediment pre-filtration down to a level of 5 microns or smaller. Water exceeding 120 ppm in hardness (7 grains per gallon) should be softened or treated with a salt-free hard water conditioner to reduce the risk that hard water mineral scale will build-up on the UV sleeve thereby reducing UV light distribution into the UV chamber. Similarly, iron levels exceeding 0.3 ppm or manganese levels exceeding 0.05 ppm should also be treated to prevent staining of the UV sleeve. Elevated levels of certain other contaminants, such as tannins, can cause a reduction in UV transmittance (the ability of the water to transmit UV light). If the UV transmittance (UVT) of your water is less than 75% after the above-mentioned pre-treatment, activated carbon filtration may be desirable to improve UV transmittance. The majority of deep wells have a UVT of 85% or greater. If your UVT is unknown, select a model with a higher flow rate capacity than the one you originally sized at 95% UVT (this will provide a higher UV dose at your desired flow rate), or add an activated carbon pre-filter to your system. The following UV models are similar to the VT4-DWS in that they are from the same product family or provide similar treatment capacity. 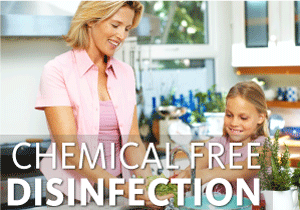 UV sterilizers are an innovative technology that deactivate bacteria, viruses, and other microbiological water contaminants without the use of chemicals. A great way to understand a UV sterilizer is to consider the effect of ordinary sunlight when we spend too much time outdoors in the sun - we can get a sunburn and our skin can be damaged. UV water disinfection is a similar process, except that it is dramatically more powerful than sunlight. A special lamp, surrounded by a quartz glass sleeve inside the stainless steel chamber that the water flows through, produces concentrated UV light at a specific wavelength tested to be the most damaging to microorganisms. Inside the chamber, the microbes are exposed to the UV light which damages their DNA. Once the DNA of the organism is damaged, the microorganism is unable to regulate its functions and reproduce. It either dies or is no longer able to reproduce and cause illness. We call this inactivation. Just as the extent of your sunburn can vary depending on how much time you spend in the sun and the intensity of the sunlight, the amount of UV light the contaminants are exposed to determines the effectiveness of the UV sterilizer. This is known as the UV dose. The 2 factors that contribute to UV dose are the exposure time (which is directly related to the flow rate of the water through the UV chamber), and the intensity of the UV light (related to the effectiveness and design of the UV lamp and chamber, the age of the lamp, the clarity of the sleeve, and the clarity of the water being treated). We refer to the clarity of the water as UV transmittance or UVT. It is important to note that water with a high level of organics can sometimes appear virtually clear but have poor UVT (since many organics can absorb UV light). We recommend that you have the UVT of your water tested to ensure you are getting the right level of UV treatment. To ensure a high UV intensity, it is important that the UV sleeve be cleaned periodically and that the water is properly pre-treated to remove minerals that can foul the UV sleeve (hardness, iron, and manganese). It is also important to pre-treat to remove sediment as well as organics and tannins that could absorb UV light. Pre-filtration of sediment to a minimum level of 5 microns is required by all UV manufacturers. As a UV lamp ages, the intensity of the UV light it produces will decline. UV manufacturers test the performance of their UV systems to ensure that they are capable of safely treating the water based on the UV output of their lamp at the end of its stated life. Beyond this point, the UV lamp might still be illuminated, but the specific wavelength of UV light might not be intense enough to safely sterilize the water. This is why it is very important to replace the UV lamp based on the manufacturer's stated lamp life. Most UV lamps have a service life of 9,000 hours or 1 year. Many of our competitors advertise the capacity of their UV sterilizers based on a dosage of 30 mJ/cm2. We provide this information for comparative purposes, however, we strongly recommend that you size your UV sterilizer based on a dosage of 40 mJ/cm2. 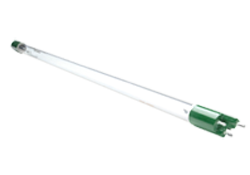 This ensures better disinfection when the UVT is less than optimal and provides extra protection against more resistant viruses. See our UV dose chart for a list of UV dosage levels required to treat for common bacteria and other waterborne pathogens. Save time on installation! The Viqua VT4-DWS is an integrated package featuring pre-filtration and a the VT4 UV sterilizer in a convenient pre-assembled package for easier installation. 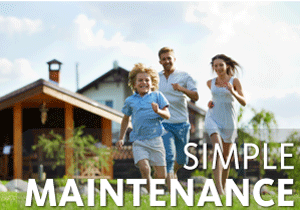 It is ideal for homeowners looking for a compact, easy to install drinking water filtration system.